A lot of women shrug off the fact they urinate 8 or more times each day. “I’ve had babies, my bladder is weak,” “I’m getting older,” “coffee makes me pee,” are some of the phrases you might have heard a friend or even yourself utter. Overactive Bladder, also known as OAB is a real medical condition. 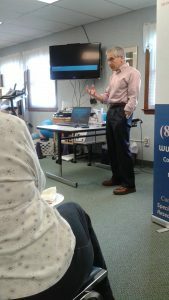 Symptoms of OAB include a sudden and strong need to urinate right away (or, when you gotta go, you gotta go!). People with OAB might also urinate 8 or more times each day, leak a little after having the sudden urge to urinate and wake up during the night to pee. 46 million adults in the US over the age of 40 experience these symptoms. 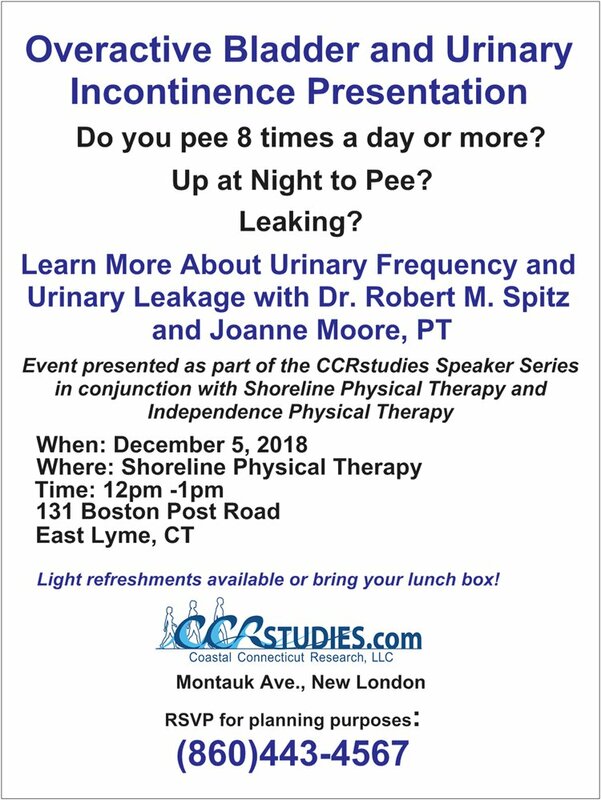 Coastal Connecticut Research is currently conducting an Overactive Bladder research study. Those who wish to learn more are invited to contact a member of the CCRstudies team at (860) 443-4567. There is no cost to participate in a clinical research study and no insurance is needed. We understand how distressing overactive bladder (OAB) can be. And you’re not alone. In fact, more than 200 million people around the world suffer from the condition. * Because different age groups react in different ways to medications, it’s important to find out what medications work best for who and why. That’s why the PILLAR clinical study will look at how a medication approved to treat OAB symptoms affects people with OAB who are greater or equal to 65 years old. Every year, thousands of people around the world take part in clinical studies. These volunteers help us answer questions about potential new medications or existing medications that are already in use. Each study is governed by strict regulations and participants are monitored throughout. Participation in the PILLAR study lasts for 20 weeks. If you take part, you’ll be given either the study drug or a placebo (a ‘dummy’ medication) for 12 weeks. You’ll also visit CCRstudies in New London about once a month to have your health and cognition assessed. These study-related medications and procedures are at no cost to study participants. 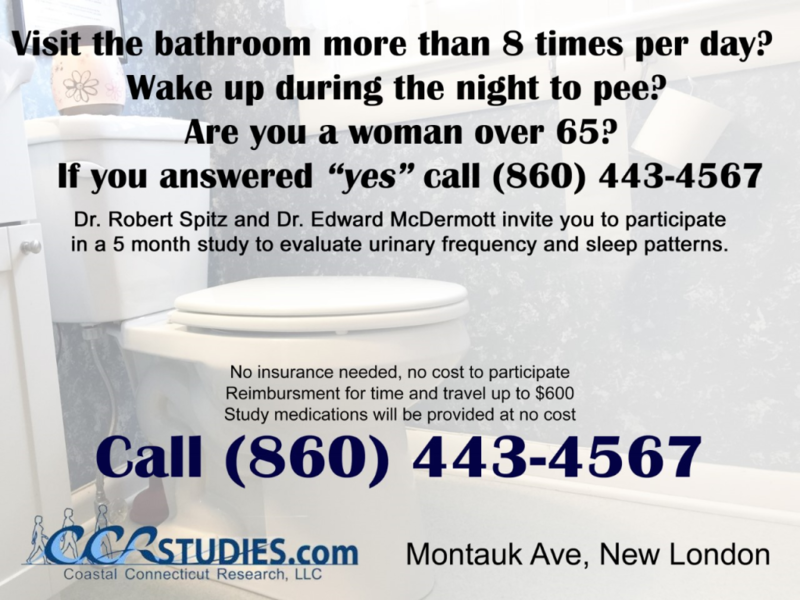 To learn more about the study for seniors with Overactive Bladder, call 860-443-4567.